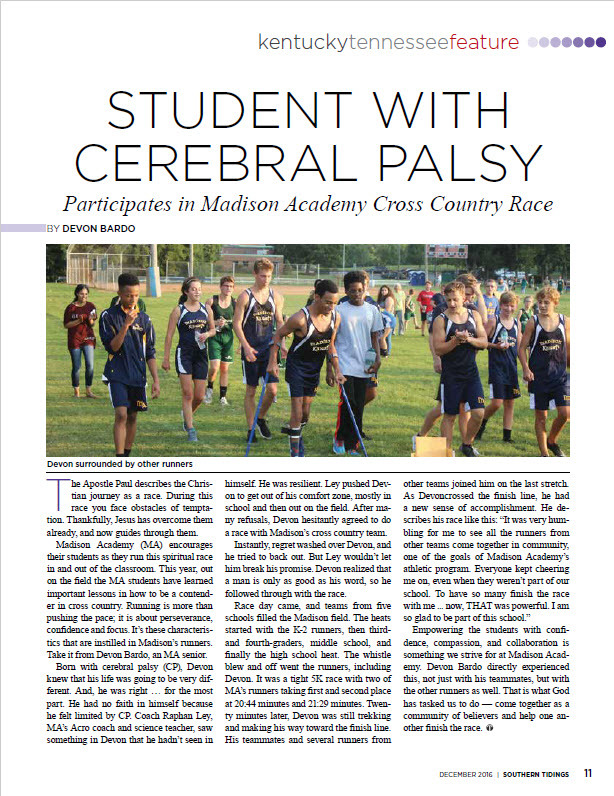 Devon Bardo, a senior at Madison Academy, is featured in an article published in the Southern Union monthly magazine Southern Tidings. Last night the Madison Academy girls varsity team played the Lancaster girls jv team and won 47-14. This improves the Lady Knights overall record to 10-1. The boys lost in a lopsided game and their record falls to 4-8. Last night in an away game the Madison Academy Lady Knights defeated the Mount Juliet Christian girls basketball team 26-21. The Lady Knights overall record improves to 9-1. In the night cap the Madison Academy Knights lost 46-76 and the team record falls to 4-7. The next game is an away game at Lancaster with the boys varsity game starting at 7:30 and boys jv at 5:00 and girls jv at 6:00pm. This is the first game of two this season. Last year the boys team split the series and lost to Lancaster in the TNCAA tournament at the end of the season. 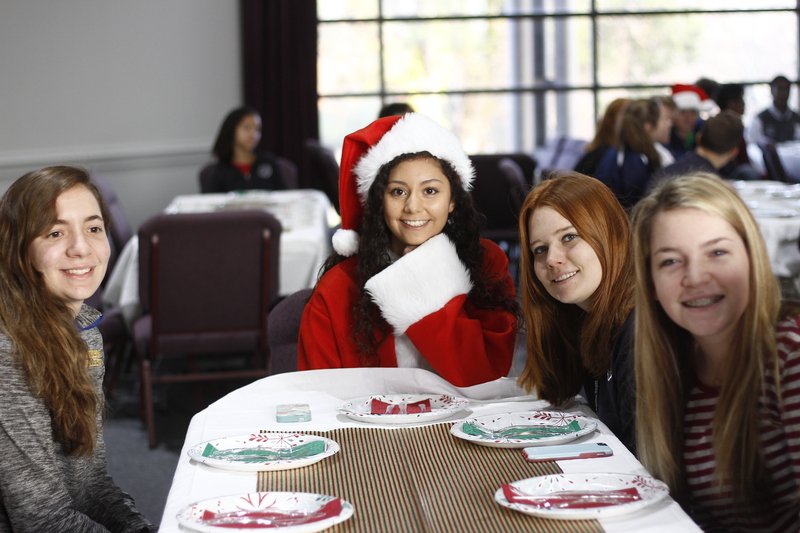 On December 7 was the funtastic Christmas Brunch held at Madison Academy. 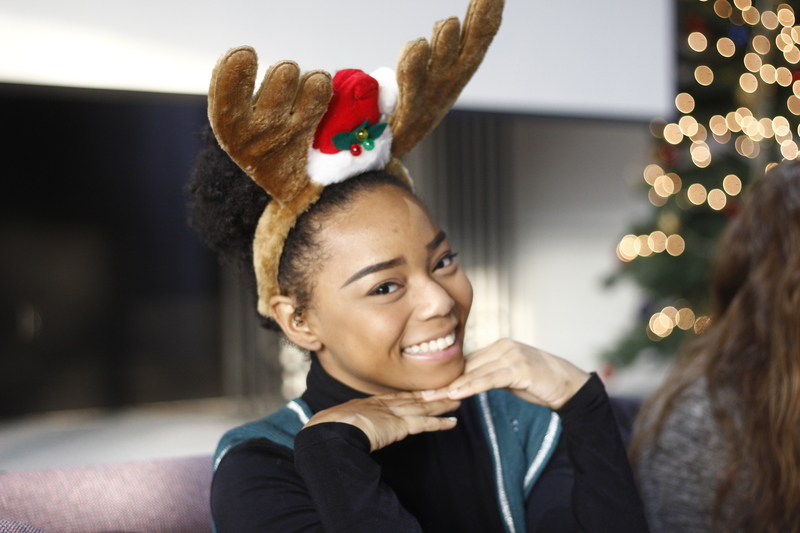 All around the school was students wearing ugly sweaters, hilarious hats, funky toppers, and casual Christmas wear. We all met in the Chapel and sat down at a lovely prepared Christmas breakfast. We prayed together as a school family and began to feast! While eating everyone enjoyed the company of good friends and delicious food. When we were done eating we had a best hat/topper, best ugly sweater and move festive outfit contest. The student association president, Symone Stewart, led out the contests. The first contest, best hat/topper, was won by Hadassah Pegues with her jingling reindeer antler and Jackson Wood with his Yoda Santa hat (instead of saying Merry Christmas, it said “may the force be with you.”). Next up was the best ugly Christmas sweater. The winners for this group were Parker Luellen with her Yoda sweater and Joshua Blair who was “wrapped up” in his Christmas present sweater. The very last contest held that morning was most festive. The winners were Sam Cañas dressed as a little Santa and James Jackson who dressed as Santa’s favorite reindeer, Rudolph. After we were all done with eating and the contests we sat down and watched almost everyone favorite Christmas movie, “A Charlie Brown Christmas.” We forgot how short the movie was and was disappointed when it finished and we had to end the party and go back to class. We prayed one last time as a school family, thanking God for the blessing that Christmas represents, and went festively to our separate classes. Last night the varsity girls and boys basketball teams traveled to Pleasant View Christian to finish the series this year. The Madison Academy Lady Knight won and improved their overall team record to 8-1. Here is the box score. The MA Knights also won their game and improve their record to 4-6. The next games are away games at Mount Juliet-Monday and Lancaster-Tuesday. In a home game this past Tuesday, the Madison Academy Lady Knights defeated the Daniel 1 girls varsity team from Merrol Hyde. The Lady Knights team record improves to 7-1. Here is the box score. The Madison Academy Knights lost to the Merrol Hyde boys varsity team. This drops their overall record to 3-6. Here is the box score. The next game is away at Pleasant View Christian. When the teams played here both the girls and boys won their games. Saturday night the Madison Academy Lady Knights (5-1) competed with Christian Community Schools Girls Varsity team in the Madison Academy gym. The Lady Knights won and improved their team record to 6-1. Admission to the game was a toy or stuff animal. When the first 3 point shot was made by Morgan Currie, the fans tossed or rolled out the toys onto the gym floor. These gifts were collected and will be given to children that attend the Acros Christmas banquet for Nashville Rescue Mission. The Madison Academy Knights (2-5) also won their game. Shawn Holbook made the first three point shot in the boys varsity game and the fans again tossed or rolled out toys on the basketball court. The team record improves to 3-5. The next varsity games are Tuesday, December 6 here at Madison Academy gym starting at 6pm. To see Shawn’s and Morgan’s three point shots and the toy toss click here to watch the videos on our Madison Academy Facebook page. Students of Madison Academy shared their gifts at Madison Campus Church by giving the entire church service. Three students delivered the sermon on the wise men’s journey to find the baby: Christiana Mercado-Inspired Seeker, Symone Stewart-Empowered Scholar and Jake Johnson-Devoted Servant. The music was provided by the band and the Madisonians, the choir and Praise team. 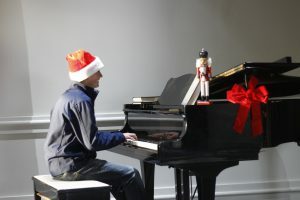 Osiris Garcia, Jackson Wood, and Donovan Allen played the piano. “Toccata in D Minor” was played on the organ by Donovan. To see the service click here. Last night the Madison Academy Lady Knights (4-1) competed with Mount Juliet Christian Academy Girls Varsity team (1-3) in the Madison Academy gym. The Lady Knights won and improved their team record to 5-1. Here is the box score. The Madison Academy Knights (2-4) lost to the Mount Juliet Christian Academy Boys Varsity team (0-4). Here is the box score. The Knights team record falls to 2-5. The next games are this Saturday night starting with JV at 5:15pm. Admission are two stuffed animals or toys. At the beginning of the school year, students were divided into small groups with a student leader and a staff member. These family groups worked together during orientation building paper structures and collaborating on other learning projects. Yesterday each group used the regular assembly and lunch time and they shared a meal together. There are ten groups and all decided where to go and what to do. Some groups decided on an Asian cuisine and drove to Fuji, 88 Kitchen, Thai Phooket, and Kabuto while others had pizza either at Cici’s or here on campus. Another group decided to eat breakfast together and went to IHOP. Each small group had fun and enjoyed listening and talking with each other.